"Microsoft PowerPoint Template and Background with beautiful floral border" Courageously battle controversy with our Beautiful Pink Flowers Beauty PowerPoint Templates And PowerPoint Backgrounds 0411. Your thoughts will resolve the dichotomy. Our Beautiful Pink Flowers Beauty PowerPoint Templates And PowerPoint Backgrounds 0411 direct the applause to you. Get the credit you definitely deserve. 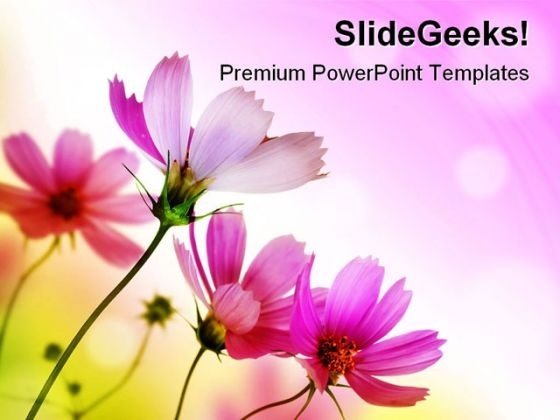 "Microsoft PowerPoint Theme and Slide with beautiful floral border" Teach your team with our Beautiful Pink Flowers Beauty PowerPoint Themes And PowerPoint Slides 0411. Download without worries with our money back guaranteee. Create your domain with our Beautiful Pink Flowers Beauty PowerPoint Themes And PowerPoint Slides 0411. Give your thoughts a distinct abode.